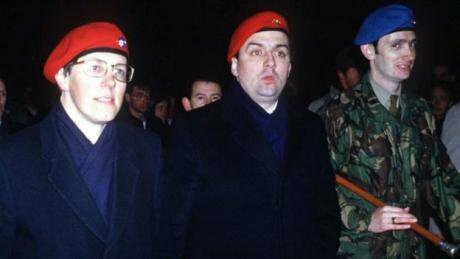 Theresa May's new partners in government have strong historical links with Loyalist paramilitary groups. Specifically, the terrorist group Ulster Resistance was founded by a collection of people who went on to be prominent DUP politicians. Peter Robinson, for example, who was DUP leader and Northern Ireland’s first minister until last year, was an active member of Ulster Resistance. One of the things the group did was collaborate with other terrorist organisations such as the Ulster Volunteer Force to smuggle arms into the UK, including RPG rocket launchers. The DUP also fights hard against women’s right to choose to have an abortion, making them the biggest pro-forced pregnancy party in the UK. The results in Northern Ireland are utterly grim for the many women each year who need an abortion.